NEW YORK, February 11, 2016 — There is nothing more romantic than a marriage proposal on Valentine’s Day but your first step after receiving a valuable engagement ring—well, maybe your second after saying yes!—should be a practical one: call your insurance professional. While there is no way to insure the sentimental value of such a gift, having the right amount of insurance will provide financial protection, according to the Insurance Information Institute (I.I.I.). An up-to-date inventory of your personal possessions can help you purchase the correct amount of insurance and speed up the claims process if you have a loss, so remember to add your new ring to your inventory. And if you don’t yet have an inventory, celebrate your engagement by creating one with your fiancée. To make creating a home inventory as easy as possible, the I.I.I. offers a free inventory tool: Know Your Stuff®. 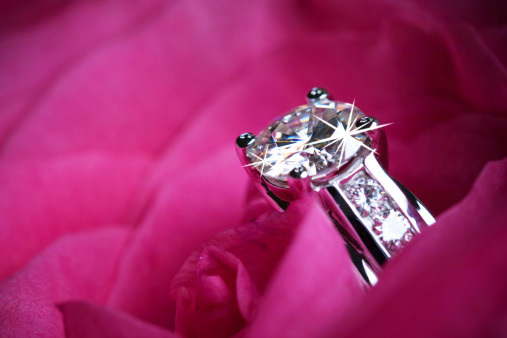 “In my many conversations with consumers, personal finance bloggers and insurance educators they have noted that the purchase of an engagement ring often triggers interest in getting a renters insurance policy for the first time, as many (especially young) people start to think more seriously about financially protecting themselves,” said Salvatore. We like to celebrate Valentine’s Day by ensuring that your loved ones and valuables are financially protected—more on our Valentine’s Pinterest Board.